Advanced stadium & arena graphics. 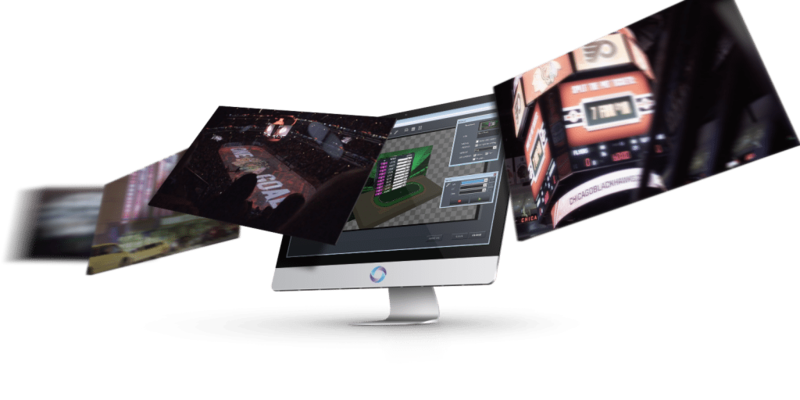 Click Effects PRIME is a highly integrated, turnkey graphics authoring solution for live arena- and stadium-based A/V presentations. With Click Effects PRIME, it’s always any canvas size, to any number of outputs, in any resolution. 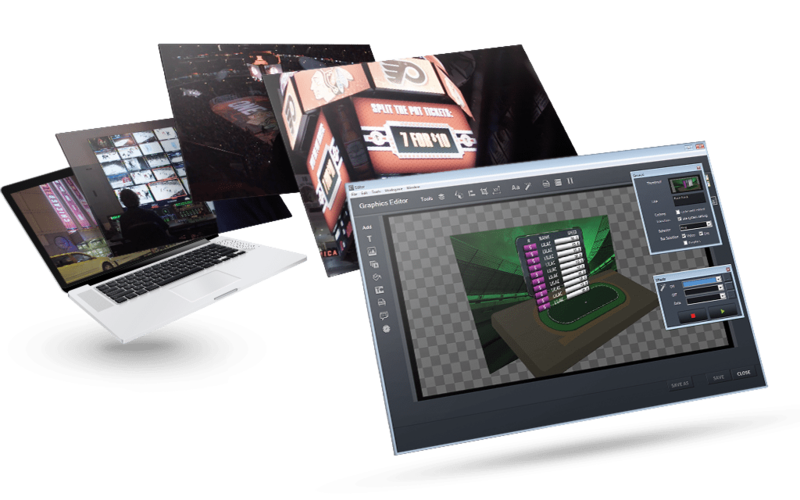 Click Effects PRIME unites the advanced authoring, rendering, and data binding power of ChyronHego’s renowned PRIME Graphics system with the industry-leading arena graphics generation and custom digital display control solution. Click Effects products have always been renowned for their centralized, single-click action, built around an easy to learn and quick to use interface. Click Effects PRIME doesn’t disappoint by carrying on this tradition of excellence. While competing systems force you to train your operators through the vendor, Click Effects PRIME’s no-scripting-required design and low learning curve means your operators will be game ready when the first whistle blows. Today’s sports venue producers face a challenge. Fans want to visually experience many of the same visual elements, such as enhanced graphics and play-by-play analysis that they’re used to seeing on live TV. Click Effects PRIME answers that challenge. 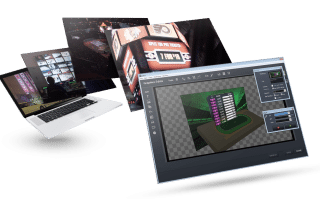 The native scene authoring of Click Effects PRIME, combined with the advanced authoring capabilities offered by the PRIME Designer, propels in-stadium display presentations to broadcast-quality experiences your fans will love. By leveraging ChyronHego’s 64-bit, all-software PRIME rendering engine and authoring environment, Click Effects PRIME exposes users to powerful features such as real-time rendering of dynamic and data-bound 3D objects with tools such as shaders, lights, materials, and video texturing. Other expanded capabilities include real-time lights and reflections, real-time video mosaics, four-point loop playback control for clips, and many more. The result? Many of the effects that fans are accustomed to seeing on TV can now be shown on your stadium or arena’s LED screens – all with one simple click of the legendary Click Effects user interface! Contact us today to schedule a demo, order an upgrade, and learn why thousands of stadiums and arenas across the globe trust the Click Effects product line. Because Click Effects is so intuitive, I feel I could train someone to run the system in 20 minutes. With Click Effects PRIME, it’s always any canvas size, to any number of outputs, in any resolution! Chicago’s United Center drives fan engagement with Click Effects by ChyronnHego! Advanced, yet easy to use data-binding, Scene Action Control adds direct interaction with PRIME Graphics’ Scene Actions from any button on the Click Effects UI. Expands highly creative CG to any screen in venue on DVI or HD-SDI. Edit and share content between Click Effects PRIME and the PRIME Designer. Direct edits without re-importing. Unmatched design control and offline editing. 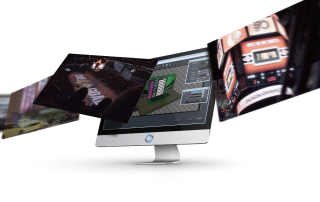 Power your stadium and arena presentations with advanced graphic design toolsets that include shaders, lights, materials, video texturing, and more! Create an infinite amount of custom, real-time wipe and displacement transitions for video and graphics, as well as real-time lights, reflections, and real-time video mosaics. Hooks to ChyronHego’s Emmy® Award-winning real-time player and ball-tracking solution, TRACAB, enable Click Effects PRIME users to create the same compelling play-by-play video analysis that viewers are accustomed to seeing on sports television broadcasts. Click Effects PRIME supports the AMP protocol. Click Effects PRIME supports 4K UHD with very low latency, HDR (HLG) Clips, and SMPTE 2110 IP transport. 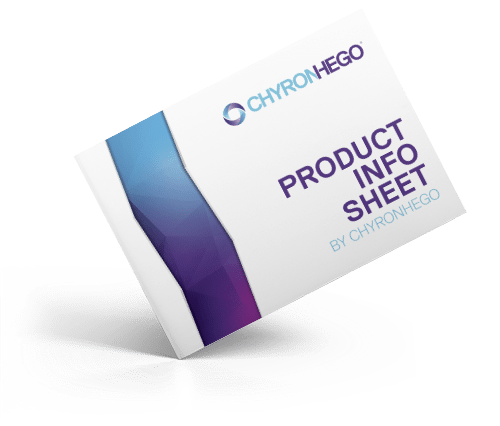 Click Effects PRIME features real-time integration with ChyronHego’s Live Assist Panels for user interface creation and scripting, as well as the Live Compositor software-based video switching system. * Please see the Documentation section below for full technical specifications.